The response to Infuse 3 has been simply amazing, and today we've got a quick bug fix release that addresses a handful of minor issues that have come up. The most noticeable change in this version relates to how past Pro purchases are handled. Pro features from Infuse 2 are transferred automatically when upgrading to Infuse 3, but soon after the release it was clear we didn't do a great job of indicating this within the app. 3.0.1 does this much more effectively, in an effort to avoid any further confusion. Also included are a number of behind the scenes improvements to help keep everything running smoothly. Recently TMDb (the service we use for movie info and artwork) made a few changes to their API. These changes are relatively minor, and will not affect how Infuse works, but they did require us to make a few small adjustments in the way Infuse accesses their service. We’ve been hard at work over the past 2 months, and are proud to announce the release of Infuse 2.3 - one of our biggest updates ever! 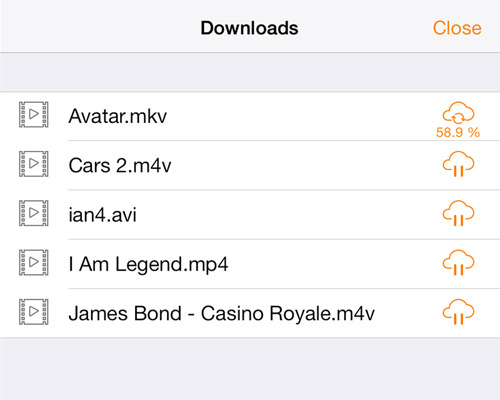 Stream from Plex, XBMC, and more! 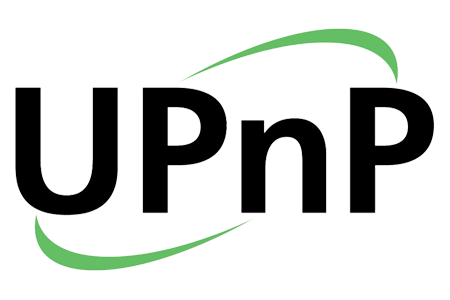 Connect with apps like Plex, XBMC, WMC, PS3 Media Server, and other UPnP/DLNA servers to browse, stream, and download movies and TV shows right on your iPhone or iPad. Over the past few weeks we've received a ton of awesome feedback from our amazing users, and today we're happy to announce much of that has turned into some great new features which are part of Infuse 2.2.2. Here's the scoop on what's new. Now in addition to syncing your own subtitles, or streaming them from another device you can import them into Infuse from emails, Dropbox, Skydrive, and pretty much any other file sharing app. It doesn't stop there. 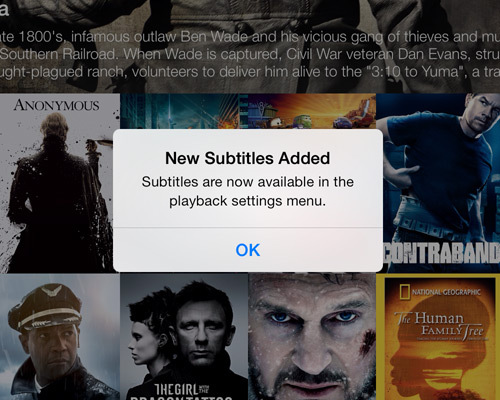 Infuse will let you select which subtitle goes with which video...so there are no special file naming requirements to worry about. Infuse 2 for iOS has only been out for two months, but we've been working almost non-stop since then to get even more features into your hands. 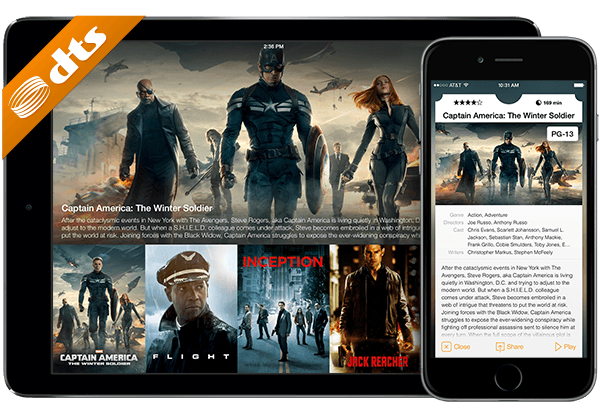 The result is Infuse 2.2, which is a HUGE update and is packed with goodies including the ability to download files, browse remote shares with artwork and movie info, all-new list view option, volume boost, streaming improvements, and much, much more! More details on everything that's included in Infuse 2.2 can be found below. Filling your device with video goodness is now easier than ever, as in addition to just streaming files, you can download them directly from other devices to play later while you're on the go.